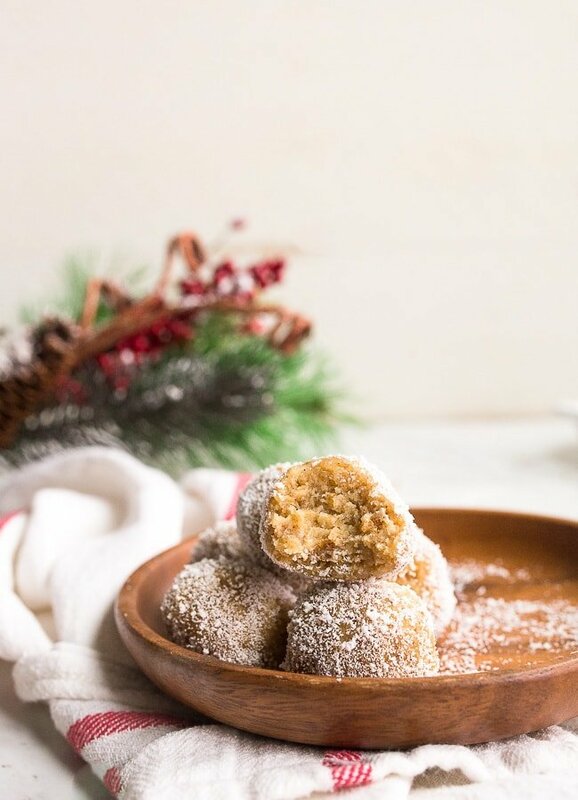 This holiday season, I’m taking my recipe for keto sugar cookies and turning them into adorable sugar- free truffles, perfect for on-the-go. Grab your these sugar cookie truffles anytime a sugar craving strikes and enjoy! Of course, I’m still thinking about those of you trying to watch your sugar intake around the holidays yet don’t want to miss out on any of the festivities. I have a good friend named Rachel who is on the keto diet, but she calls it ‘cheat-o’ because she will cheat only for a very good reason. Her approach is to avoid unnecessary sugar as best as she can, but she understands that life happens — birthday cake happens. I like her approach. Of course, I completely understand if you absolutely must avoid sugar for dietary reasons. 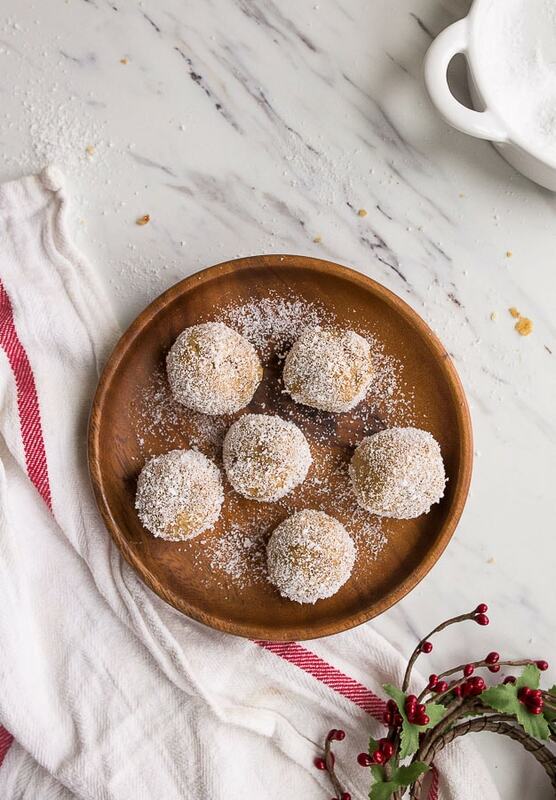 My hope is that these sugar-free truffles will see you through many holiday parties, cookie exchanges, and cocktail hours. 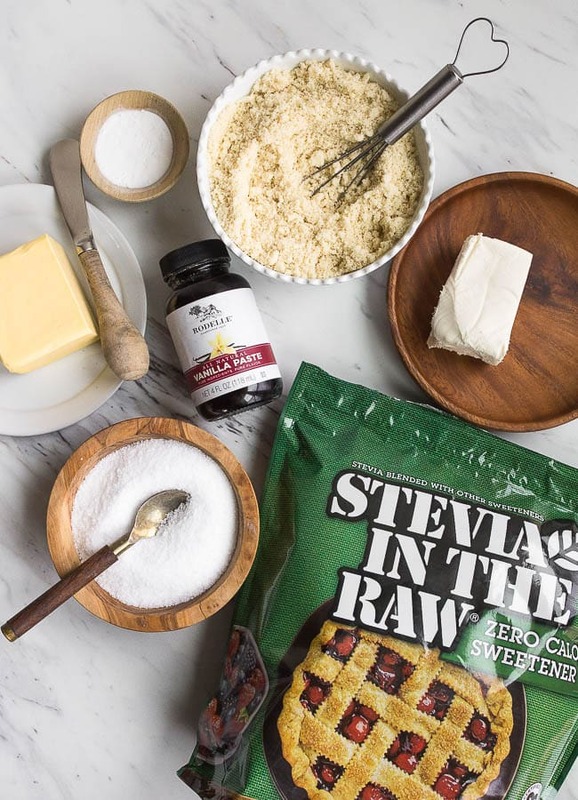 I’m so happy to be partnering with Stevia In The Raw®, a zero-calorie sweetener that is made from extracts from the sweet leaves of the stevia plant to bring you small-batch, sugar-free, low- carb, and keto-friendly desserts this holiday season. 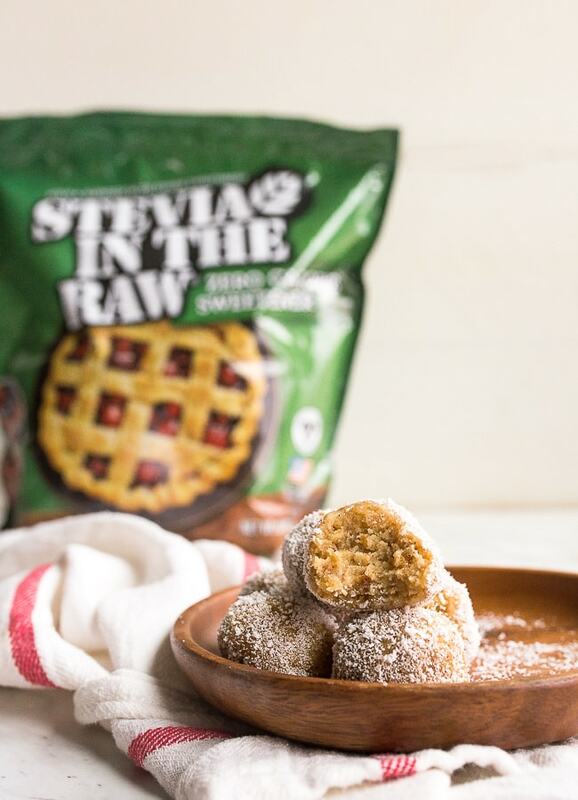 Even better – Stevia In The Raw® Bakers Bag measures cup-for-cup with sugar, making the swap so easy. I think small portion desserts and diets go hand-in-hand. I like to think that I’m your girl for bringing you delicious desserts that don’t make a ton of tempting leftovers. This sugar free truffles recipe makes just six truffles. One truffle is very sweet, rich and satisfying; it should see you through your next sugar craving! 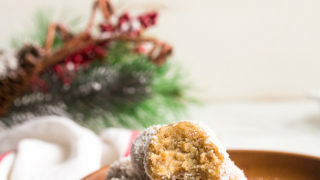 To make these sugar free truffles, first make a batch of my keto sugar cookies. I love this recipe so much! It’s entirely gluten-free because it’s made with almond flour, and it lacks eggs, too! The sugar cookies are so quick to come together in one bowl: just melted butter, almond flour, vanilla bean paste, baking soda, and 2 tablespoons of Stevia In The Raw® Bakers Bag for all 6 cookies. Just five ingredients to make 6 perfect little sugar cookies! Psst! If you’re looking for my mini cookie sheet pan, it’s this one. It fits toaster ovens! 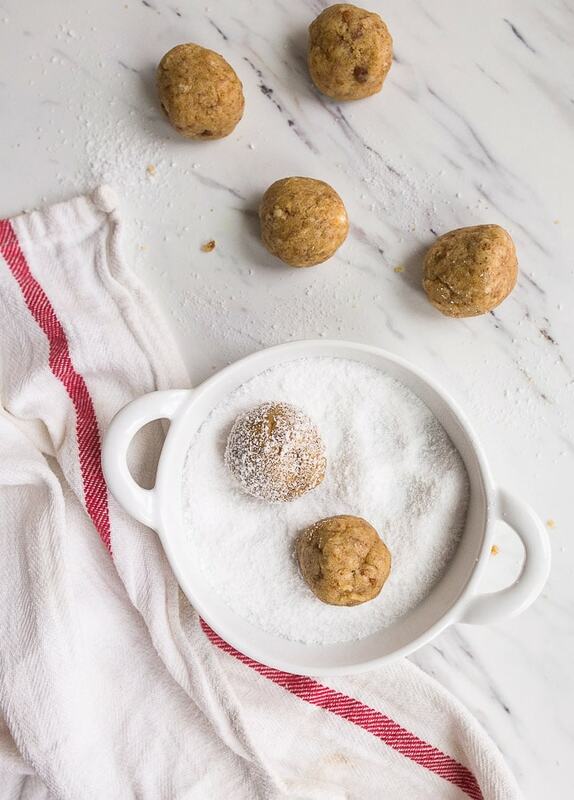 Next, to make the sugar cookie truffles, we’ll smush the cookies with an extra tablespoon of Stevia In The Raw® and use our hands to work in 1.5 ounces of cream cheese. That’s it! So quick and easy to make! The truffles can be a bit sticky, so be sure to roll them in an extra coating of stevia to keep them separate in your container. Plus, this makes them look festive-, like little snow balls, right? One little note: I’m using vanilla bean paste because it bumps up that sugar cookie flavor to the next level, but most vanilla bean pastes contain sugar. I’m okay with 1 teaspoon of paste in 6 cookies, but if you’re super strict about your added sugars, you may want to use vanilla extract instead. Check the label—vanilla extract usually does not contain added sugar. Keto sugar cookie truffles, small batch style. Recipe makes 6 truffles. Preheat the oven to 375, and line a small cookie sheet with parchment paper or a silicone mat. In a small bowl, whisk together the almond flour, stevia, and baking soda. Add the melted butter and vanilla bean paste. Stir to combine well. Press the dough flat in the bowl , and divide it into 6 pieces by eye. 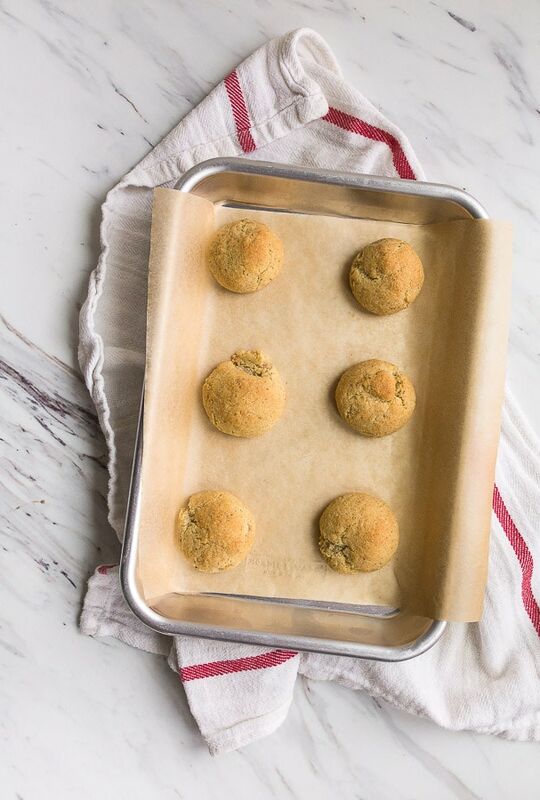 Roll each cookie dough ball in your hands into a perfect ball, and place on a lined baking sheet. Bake for 8 minutes, andminutes and allow the cookies to cool on the sheet for 1 minute before moving them to a wire rack. When the cookies are cool, it’s time to make the truffles. : Bbreak up all of the cookies into fine crumbs into a small bowl. Add the softened cream cheese and one tablespoon of the stevia. Mix until a soft dough forms. Using your hands, make 6 perfect balls into truffles, rolling each in extra stevia to keep them from sticking to each other. Serve immediately , or store in the fridge for up to 3 days. *Make sure your vanilla bean paste doesn't have sugar added and is keto-friendly.